UEFA are considering the introduction of a cap on the price of away tickets in the Champions League next season. The issue is one that is troubling fans of all clubs, including our own. The Daily Mail have reported that a host of top clubs are dismayed at the exorbitant cost of away tickets for their travelling fans. 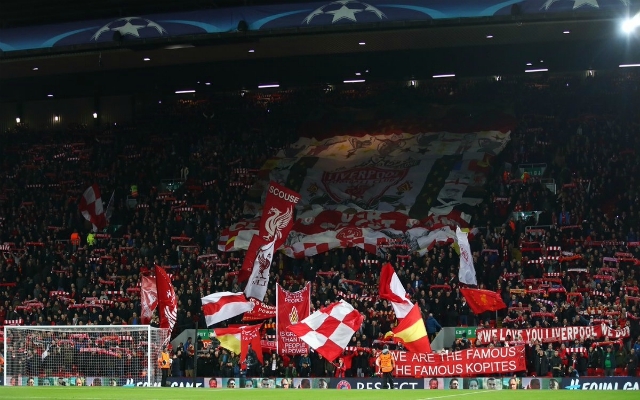 A working party comprised of clubs such as Liverpool, Bayern Munich, and Paris Saint-Germain – together with representatives from the European Club Association and UEFA – have been meeting to investigate Champions League ticket pricing. Since being set up last year, the group have been compiling reports, which they are scheduled to deliver to UEFA’s Club Competition Committee before UEFA’s Executive Committee meeting in Azerbaijan – where a cap solution could be drafted. After lengthy discussions between our club, UEFA, and Porto the price of away tickets for our quarter-final meeting have been set by Porto at £52 (€60). This is €15 less than the previous season’s last-16 match with the Portuguese club. Recently, Manchester United retaliated against Barcelona’s choice to charge away supporters a whopping £102 for their Champions League quarter-final match by charging a corresponding price for Barca fans and using some of the revenue to subsidise their own fans’ tickets. Equally, it seems Tottenham will be charging Manchester City fans a premium for their Champions League encounter in April – double the £30 Premier League away ticket cap, in fact. These are worrying times for football fans as ticket prices keep soaring, but it’s heartening to know that our club is one of the key proponents of an away ticket price cap. The fans are everything – obviously the club understand that, as they always have. Good luck out in Portugal if you’re going out there, Reds!